Here’s a Sunday morning rambling post for you. I want to apologize for the infrequent posting in the next few weeks, as Ryan and I move to NYC. We’re only 9 days away. The tutorials and d.i.y.s will probably slow to a halt for a while, but thanks for sticking with me. I haven’t been doing much cooking because, get this, my fridge died over Christmas and I lost all of my food. And since I’m moving, it just seems stupid to buy any more, really. The crafts have also stopped for a while, since the craft supplies are all packed up. When I move to NY, I’m also unsure what my setup will be. We’re staying with a friend until we can get our own places, but I won’t be signing any leases until I get a job. In the interim, all of my baking supplies and most of my cooking supplies will be in storage. And the kitchen I’ll be using in NY is tiny (I guess I should get used to that). Ryan and I finally had our Christmas, as per tradition, a week or two late. We somehow never manage to make the shipping deadlines for Christmas day. 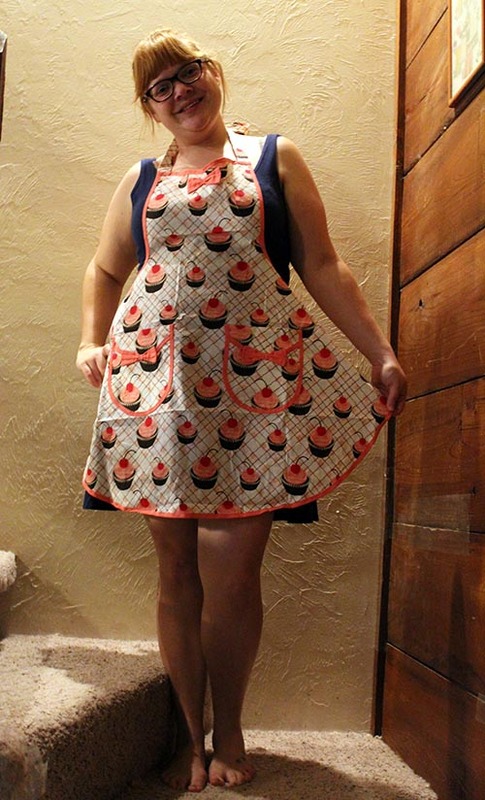 He presented me with this darling apron from Anthropologie. For his gift, I made a donation in his name to the Electronic Frontier Foundation. My new glasses came in! They’re from Warby Parker. 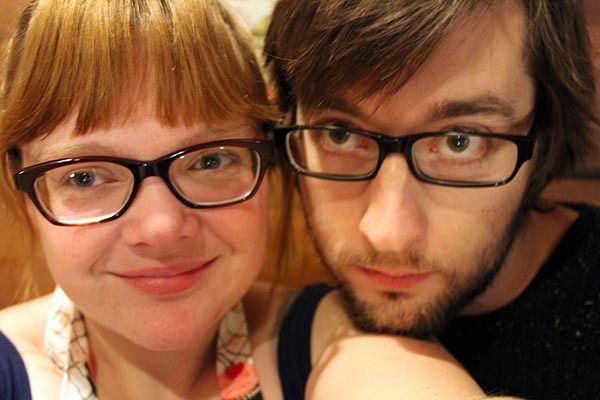 Ryan and I always get our glasses from them, they’re cheap, well made, stylish, and a charitable corporation. My glasses are the Sims. They’re comfortable and were a big hit when I debuted them at the bar Friday night. This morning, ryan showed me how to put leather protector on my new snow boots. Snow boots! Can you believe it? I’m such a Floridian. I bought a pair of L.L. 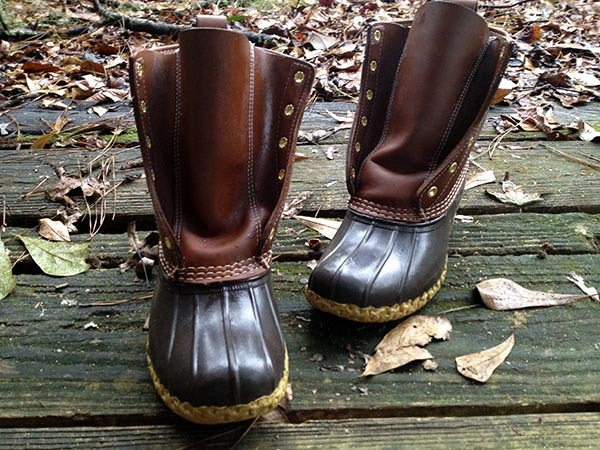 Bean’s Bean Boots on sale and love them. They’re not laced yet, but I can’t wait to wear them. We also applied leather protector to all of my horse riding gear. I really appreciate that after all of this time, ryan and I still are able to teach each other things. Now I just have to teach him how to make an omelet. Yes, I could justify the price of this purchase..uh, somehow. The design! The bubble-shape of the glass! 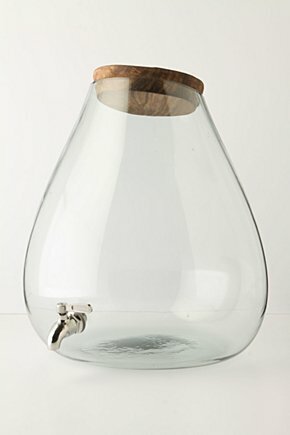 Oh, and the wooden lid! 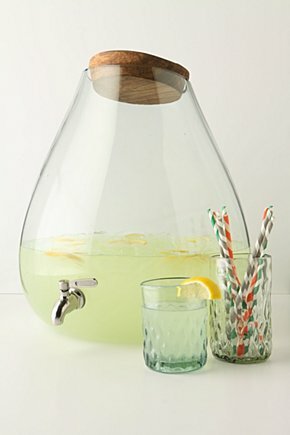 I don’t think I’ve ever been more in love with a drink dispenser. You?